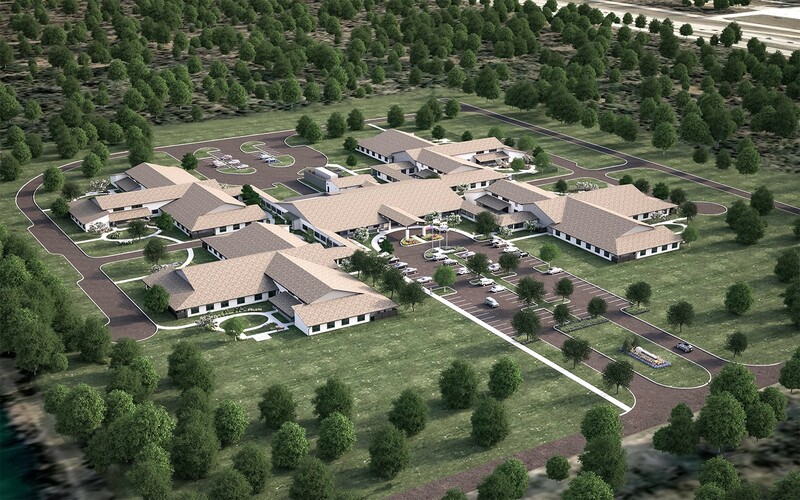 Today Texas Land Commissioner George P. Bush announced the most recent achievement in the construction of the ninth Texas State Veterans Home, operated by the Texas Veterans Land Board (VLB), a division of the Texas General Land Office (GLO). The commemorative last steel beam was put into place recently at the Veterans home located in Houston. 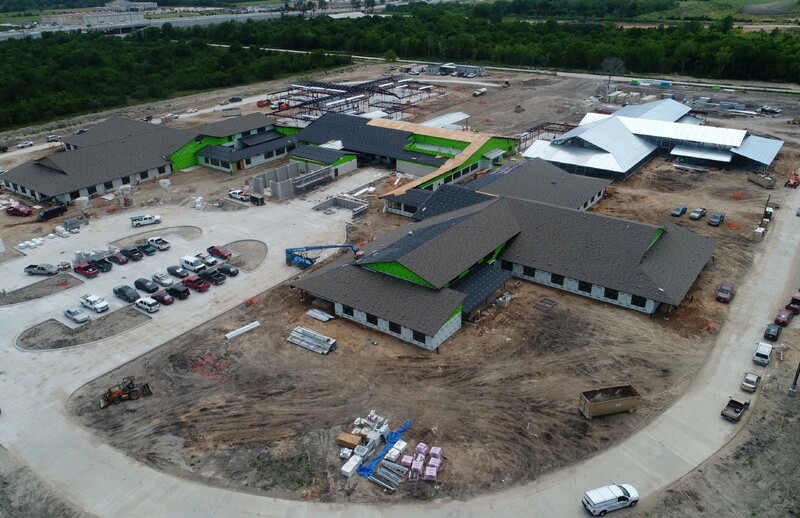 The newest Texas State Veterans Home is currently being built in south Houston, just north of Beltway 8, near Cullen Road. The $37 million facility broke ground last year. Designed by Orcutt|Winslow and being constructed by Kitchell, the project’s general contractor, the new facility sits on nearly 18 acres and is based on the “small house” concept, with three small houses combined into one single neighborhood-style building. Each small house will accommodate ten residents and include a kitchen, dining room and living room, with access to an outdoor garden and patio with shaded seating to preserve a home-like atmosphere, while still providing resident-centered care. 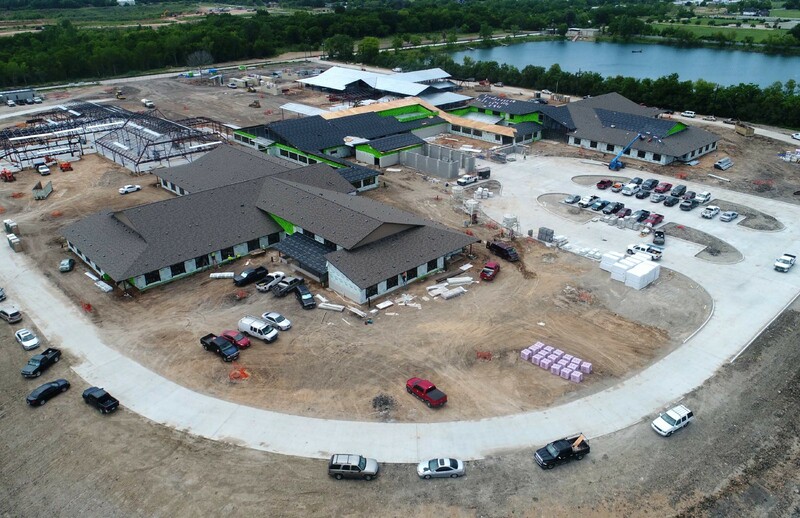 The home will be a 129,500 gross square-feet, single-story community living center with 120 skilled-nursing beds, including a 30-bed memory support unit. The community center will house administrative and support units, a multi-purpose room, bistro, library and chapel. The new home will be named for a Texas Veteran who paid the ultimate sacrifice in service to our nation. A ceremony revealing the name will be held in the fall. You can view architectural renderings and construction updates here.